Loved her eyes, she was so itty bitty but just a joy to photograph! 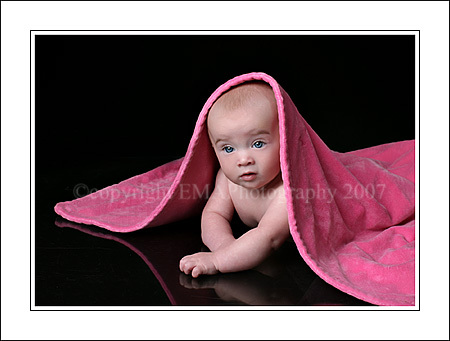 Libby - She is so pretty and so cute under that pink blanket! Love your work, Carrie! Mark Bovenizer - Wow, what a cool picture. Great Blue eyes.